Bernie Glassman has always been known as a maverick in the Buddhist world. I sometimes call him a loose Buddhist cannon! But theres nothing loose about the way in which he puts his principles into practice. The Buddhism Bernie teaches is grounded in whatever difficult moment he or his students are facing. He encourages everyone to be present without importing any of our preconceived ideas into the situation. Only then will we be free to move in a new direction and resolve the problem. 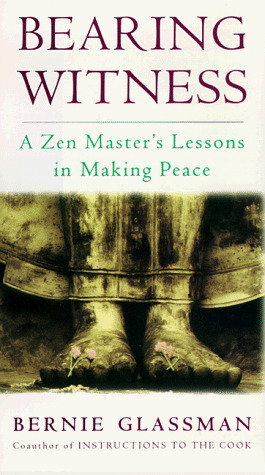 Zen Peacemaker priests may find themselves in fiercer circumstances than the rest of us but the teaching to be found in Bearing Witness is effective whether we are at home, at work, or at war. 5. 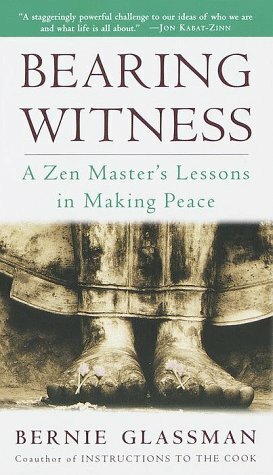 Bearing Witness: A Zen Master's Lessons In Making Peace. Glassman, Bernie; Cunningham, Peter (photography).